This is the third design in the Hooking Up! 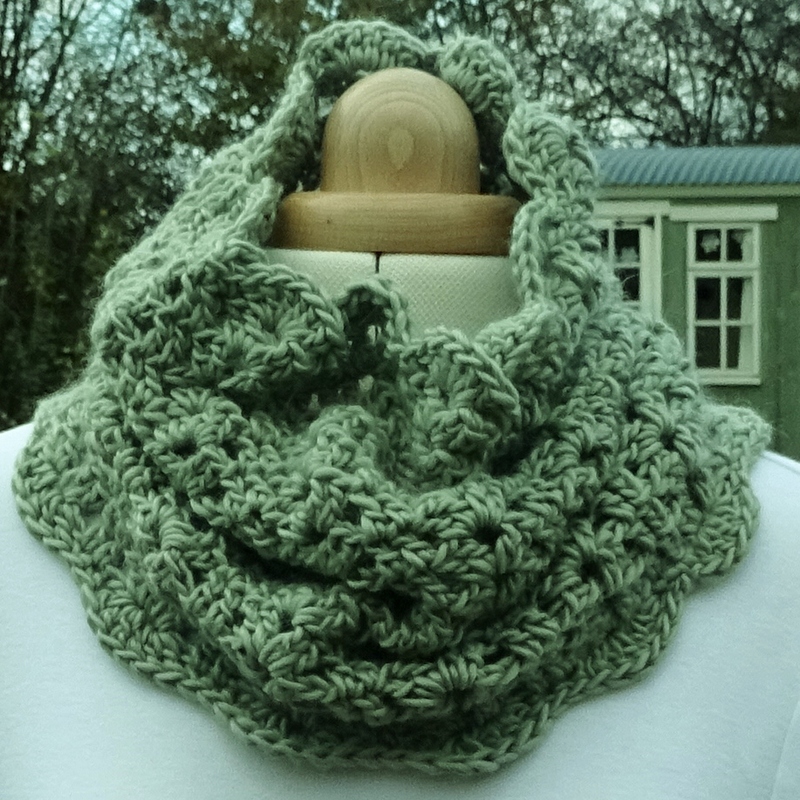 ebook – the Round and Round Cowl. I love cowls, I find them better than scarves if I am out and about because they stay where you put them – around your neck! There is nothing more frustrating than having your scarf fall off or worse still trip you up. A bonus for a crocheter or knitter is that they use less yarn and are quicker to make than most scarves. This design is exclusive to the ebook; you will not find it elsewhere. I added it because it is a good one to learn how to make things in the round. It is made using a Bulky yarn (Rowan Cocoon) which means you have less stitches to deal with when you are starting off, perfect for your first project in the round. There are charts included with this design, as with the other designs in the ebook, but they are not compulsory. If you want to learn how to read a chart then the one with the Simple Scarf will help you get started. But if you don’t like charts, just ignore them!